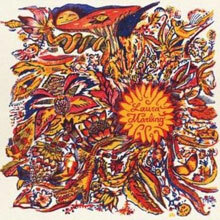 A darling of the new British folk movement Laura Marling has released four albums to date, three of which having been nominated for the Mercury Music Prize. Still only 23 Laura won Best Female Solo Artist at the 2011 Brit Awards. A savvy and determined artist who seldom gives interviews unless she feels like she has something relevant to say Marling has carved a considerable following in a short space of time. Due to an idiosyncratic upbringing – father ran the recording studio and introduced her to folk and sixties music – while her education at a private Quaker school in Berkshire magnified her otherness. The owner of a unique voice and a defiantly original songwriter Laura was an early member of Noah and the Whale and has been associated with Mumford & Sons, The Rakes, Johnny Flynn and Mystery Jets but she is a true original with an impressive body of work to her name and plenty more to come. Born in Hampshire and schooled in Berkshire, Laura Marling moved to London aged 16 and became involved in the so-called Nu-Folk movement. She contributes backing vocals to Noah and the Whale's debut album Peaceful, The World Lays Me Down and also performs on The Rakes track 'Suspicious Eyes'. In 2007 she toured with the estimable New Yorker Adam Green and his band The Moldy Peaches while at home she was a success at the O2 Wireless Festival and the Underage Festival in Hackney. Armed with experience Laura's debut was the EP London Town after which she set about her first album, the tentative and charming Alas, I Cannot Swim (2008), produced by Noah's Charlie Fink. Ostensibly about being a teenager in love Marling nevertheless surprised critics and listeners with her maturity and depth of phrase. Inevitably she drew comparison to the singer songwriter confessional school associated with the early 1970s, particularly on the West Coast (where she lives today in Los Angeles) but that's no bad thing. If you remind certain types of Joni Mitchell you may well be doing something right. Besides, an album entirely written and composed by her, unusual for one so young, and the musicians are well chosen. That's Tom Mumford on accordion and percussion and Ted Dwane on double bass. The voice and guitar are both her own and that's why you're listening. Nothing too fancy in the arrangements, but the overriding simplicity can't disguise a wealth of meaning within the lyrics. This album went Gold and has sold over 100,000 copies, many to her peer group, since the stand out 'Crawled Out of the Sea' was featured in the TV series Skins while the title track appears as a 'hidden' extra after the closing cut 'Your Only Doll (Dora)'. Autobiographical yet universal, sweet without whimsy, this is a splendid introduction to Marling's career. The follow-up I Speak Because I Can (2010) is an even more confident and ambitious disc. Produced with Ethan Johns the album doesn't ever disappoint and deservedly plucked the aforementioned Brit as a result while notching up more impressive sales. Recalling some of her previous cast, notably Mumford on drums and voices, Marling deals with deeper issues than before and moves into darker female territory in much the same manner as early PJ Harvey on the opening 'Devil's Spoke'. There is further breadth in the WW2 nostalgic piece, 'What He Wrote' and the gorgeous 'Goodbye England (Covered In Snow)'. 'The Intensity of Darkness Descends' and the glorious melody of 'Blackberry Stone' ought to make listeners sit up and take note. Heartily recommended. Still on a roll, Marling's third disc A Creature I Don't Know was accompanied by a British and North American tour that won her rave reviews for her confident live show, now honed by close work with Johns in the studio and much time and effort poured into the arrangements. The younger Marling alto has deepened here and the tunes have an airier, jazzier quality. Marling's guitar work truly shines on 'The Muse' and central song 'The Beast' – full of gritty string bending distortion - fulfilling her desire to provide a slap and a stroke. You get both emotional touches on 'Night After Night', a personal if not confessional account of what happens during an affair that ought to break the hardest heart. It's worth checking the Deluxe edition too for the live in York Minster disc, especially her version of 'Blues Run The Game' written by the cult folk hero Jackson C. Frank. With her self-belief established Laura brings us up to date on Once I Was an Eagle, her third studio project with Johns. Working now within a loose concept based on naïveté and the search for love the disc works as a contrast in moods – ethereal and occluded to begin with, then defiantly up and heading towards release. Recorded at a small studio in Bath with Marling and Johns heading a four piece that also includes Ruth de Turberville's cello and Rex Horan's supple bass lines, this album has been cited as her best work, some call it her masterpiece. Fantastic reviews aside it's easy enough to be gripped by Marling on this form. The sixteen songs unfurl with symphonic grace. 'Take the Night Off' and 'Breathe' cast the spell. Later the awakening process arrives in 'Interlude and Undine'. The rush towards liberation is heralded by 'When Were You Happy (And How Long Has That Been)' and the ecstatic 'Saved These Words'. At which point you'll probably want to listen all over again. At a time when we may have been told that the sit down and enjoy aspect of albums is all but over Laura Marling is a reminder that is not the case. You are in for a rare young treat. Once I Was an Eagle, the fourth long-player from Laura Marling, finds the spectral folk singer relocating to Los Angeles, abandoning her backing band, and delivering a cumbersome yet remarkably confident 16-track, 63-minute collection of alternately intimate and grandiose pre-, present, and post-relationship songs that more or less obliterate her reputation as a stage fright-ridden, pale English flower. The first four tracks, which begin with the languid "Take the Night Off" ("You should be gone beast/be gone from me/be gone from my mind at least/let a little lady be") essentially form a suite, seamlessly flowing in and out of each other like an impromptu, post-breakfast, tobacco smoke-filled rehearsal that just happened to occur amidst a sea of expensive microphones. Marling's reinvention as a Californian will do little to quell all of the Joni Mitchell comparisons which, let's face it, are pretty apt, but songs like "Breathe," "Master Hunter," "Pray for Me," and the quasi-mystical title cut introduce Indian ragas, open tunings, and cathartic, tabla-fueled breakdowns into the mix, suggesting a steady diet of Led Zeppelin III, Pink Floyd's Meddle, and Pentangle as well, which adds to the album's dusty, Laurel Canyon patina. Elsewhere, Marling wanders into Gillian Welch territory on the dark and bluesy, fingerpicked "Undine," and the propulsive "Devil's Resting Place" and sweet and soulful "Where Can I Go?" harken back to the youthful whimsy of 2010's I Speak Because I Can, but Once I Was an Eagle is neither whimsical nor particularly youthful, despite the fact that its creator was only 23 at the time of its conjuring. Marling is an old soul through and through, and her remarkably timeless voice, idiosyncratic lyrics, and increasingly impressive guitar chops help to elevate the album's less immediate moments, and while some may argue that her increasingly Americanized, Pacific coast folk-pop can feel a little like fan fiction, it doesn't make it any less enjoyable to sink your toes into. 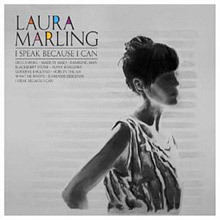 Laura Marling, fresh off of a Mercury Prize nomination at the age of 20 for 2010’s I Speak Because I Can, knows that with critical acclaim comes great expectation. Her third studio album, the loose and languid A Creature I Don’t Know, both edifies her old-soul persona and diffuses it, offering up 11 slabs of retro Anglophile folk that manages to both push the envelope and seal it shut. 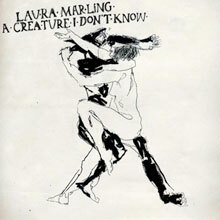 Marling's vocal affectations, which are ultimately charming despite their frequent Joni Mitchell-isms, are far more apparent this time around, especially on the album’s first three tracks, all of which showcase a fervent singer/songwriter with a fiercely independent spirit who’s tempered by a strong familiarity with her parents’ record collection. That said, it’s a syllabus that’s been ingested and honed rather than spit out and glossed over, and most of the time, Marling makes a great case for all of those Sandy Denny and Linda Thompson comparisons. Brimming with life and lush with spanish guitar, rolling banjos, summer of love chord changes, and moor-bound tales of love gone bad, A Creature I Don’t Know is ultimately triumphant, due in great part to Marling's magnificent codeine voice, which sounds like it’s been pouring out of the radio for five decades, especially on stand-out cuts like “Sophia,” “The Beast,” “My Friends,” and “All My Rage.” Three albums in, the young singer/songwriter sounds brave and confident yet breakable and guarded, and while A Creature I Don’t Know may not be the bolt from the blue fans and critics were hoping for, it’s most certainly storm born. Due to her youth (16 when she first hit Myspace, 17 when signed to an imprint of EMI, and 18 when her debut album came out), perky-cute looks and extremely British diction, singer/songwriter Laura Marling got a lot of comparisons to Lily Allen in her early buzz, but the quietly compelling Alas I Cannot Swim is not at all a frothy pop confection. A folk-tinged AAA pop record based on Marling's alluringly husky voice and graceful acoustic guitar, Alas I Cannot Swim would be more aptly compared to the likes of Feist, Keren Ann, or Regina Spektor. (In the album's press kit, Marling reveals her primary influence to be Bonnie "Prince" Billy, which also seems appropriate.) Although not to draw too forbidding a comparison, opening track and first single "Ghosts" is most strongly reminiscent of Joni Mitchell circa For the Roses, both in Marling's expressive vocal phrasing and the expert shifts in the arrangement between solo acoustic passages and full-band sections, not to mention an excellently deployed string section. That old-school '70s singer/songwriter vibe predominates throughout the album, in fact. There's one straight-up pop song here, the deceptively chipper-sounding "Cross Your Fingers" ("...hold your toes/We're all gonna die when the building blows" continues the sweetly sung chorus), but aside from that, Alas I Cannot Swim is the kind of album that takes a couple of listens for its charms to completely sink in. Rather than swath every track in prominent, ear-grabbing hooks, Marling and producer Charlie Fink choose to keep the decorations off in the distance on songs like "The Captain and Hourglass," where swells of pedal steel stay buried deep in the mix under Marling's hypnotic guitar line and quietly insistent vocals. There's every chance that Laura Marling will get lost in the shuffle as the unexpected commercial success of Feist's The Reminder leads major labels to unleash hordes of similarly talented female singer/songwriters, but Alas I Cannot Swim is far better than the average coffee house-endorsed girly pop. British folksinger Laura Marling’s 2008 debut, Alas I Cannot Swim, showed more depth and maturity than one would expect from a (then) 18-year-old. Marling’s expressive, smoky voice and penchant for lyrical matter that didn’t reference clubbing landed her a well-earned Mercury Prize nomination, as well as a considerable amount of hype concerning her follow-up. Released in 2010, I Speak Because I Can delivers on nearly every level, upping both the production value (thanks to Ryan Adams and Kings of Leon producer Ethan Johns and fellow indie folk darlings Mumford &amp; Sons) and the songwriting. Love, death, and heartbreak are hardly new subjects when it comes to folk music, but they refresh themselves so often in our lives that their relevance becomes tenfold with each new bite, scrape, or blow to the head, a notion that Marling explores with both guarded wisdom and elegant petulance on standout cuts like "Devil’s Spoke," "Made by Maid," "Rambling Man," and "Goodbye England." At its heart, I Speak Because I Can is a stoic, bare-bones singer/songwriter record, which makes the tastefully peppered bursts of explosive percussion, banjo, mandolin, and backing vocals from the Mumford gentlemen all the more effective and not just window dressing to cover up a cookie-cutter storefront. That said, it’s Marling’s enigmatic voice (think Florence &amp; the Machine and Fiona Apple), clever phrasing (think Joni Mitchell), and adherence to the alternately warm and wintry vibe of late-'60s/early-'70s classic rock and folk (think Led Zeppelin III) that listeners will keep coming back to, regardless of the packaging. Recorded on the 9th July 2010 at the iTunes Festival at the Roundhouse in London. This collaboration with Rajasthani musicians are the live versions of some of the songs previously recorded in India a year earlier. 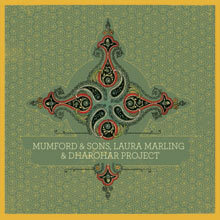 Both Laura Marling and Mumford recorded 2 songs each – Marling on "I Speak Because I Can" and "Rambling Man", and the Mumfords “The Cave" and "Roll Away Your Stone", with also the songs of "The Darkness" by Mumford and Laura Marling’s "Devil Spoke". "A triumphant experiment that feels surprisingly authentic. An uplifting celebratory piece of music” according to the BBC review. Released on 21st July 2010.